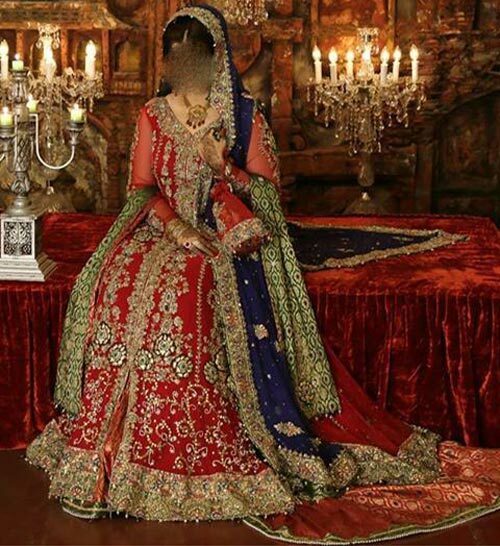 Pakistani Bridal mostly wear Lehenga as bridal dress. In old times Lehenga was considered as a medium length shirt with Loose Lehenga. 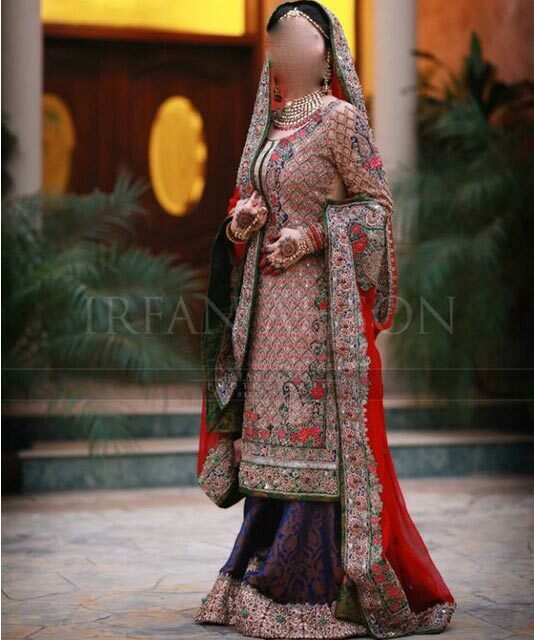 While designer made many changes in Pakistani Lehenga fashion 2015. 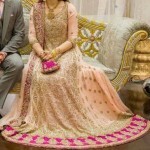 Now Pakistani Bridal Lehenga have many styles like Long shirt and Lehenga, short choli and fish lehenga, short kurti and loose lehenga etc. previous year will wear half sleeves, sleeveless and now is upcoming fashion trends of bridal wedding dresses like lehenga with short and long choli, open shirts, long frocks and tail gown with full sleeves. Color combination is very impotent to select a dress to wear on wedding day in these days Red and Green Lehenga is in of fashion industry because of its beautiful look, and mostly brides like to wear red and green combination lehenga with choli. Other upcoming Fashion of wedding dress is Plazo, Palazzo is a loos trousers with work on it it also looks beautiful and you will feel comfortable to wearing this dress as wedding dress, fashion of Plazo is very poplar in Pakistani and Indian Women and Girls. 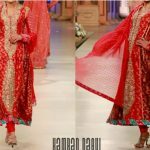 We are Sharing few Pictures of Wedding Dress for Bride and also for Walima day, Long Open Shirt, Lehenga with Choli and Lehenga with Plazo.